Dalchem offers aerosol products, which include the Mann Ease Release 200 Aerosol. This easy to use release agent is specifically designed to provide maximum release per application. It is suitable for use on general and advanced composite moulding processes and is compatible for use in silicone to silicone and resin systems. 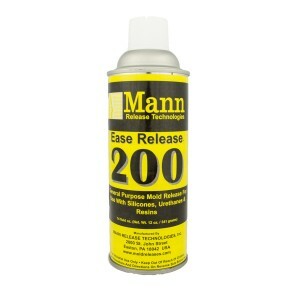 Mann Ease Release 200 Aerosol is available in a packet size of 341 g, and it is Dalchem’s most popular release agent by far.